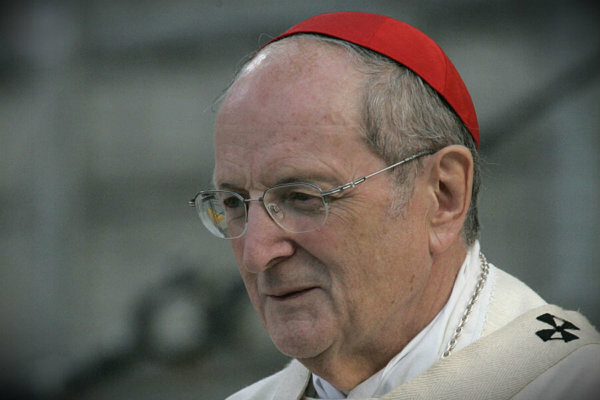 The 83-year-old cardinal died unexpectedly in his sleep July 5 while on vacation in southern Germany. Cardinal Meisner was one of four cardinals who formally asked Pope Francis to clarify his teaching on Communion for the divorced and civilly remarried. When the four prelates did not receive a response, they released the letter to the press saying, “We have noted a grave disorientation and great confusion of many faithful regarding extremely important matters for the life of the church,” especially given the contrasting interpretations — even among bishops — of Chapter 8 of ‘Amoris Laetitia,'” the chapter dealing with ministry to the divorced in his exhortation on the family. The cardinal was committed to proclaiming the Gospel, the pope said, and he prayed God would reward him for his “faithful and fearless dedication to the well-being of the people of the East and West,” referring to the cardinal’s delicate service as bishop of a divided Berlin. Cardinal Meisner was bishop of Berlin between 1980 and 1988. St. John Paul II named him a cardinal in 1983. Born on Christmas day in 1933, the cardinal’s birthplace was the city of Wroclaw; now part of Poland, it was at that time called Breslau and was the capital of Prussian Lower Silesia, a part of Germany. Ordained a priest in 1962, he worked in Heiligenstadt, East Germany, and later became regional director of Caritas, the international Catholic assistance and development agency. He was named auxiliary bishop of Erfurt-Meiningen, East Germany, in 1975. He served as archbishop of Cologne for 25 years, from his installation in 1989 to his retirement in 2014. During events in Rome marking the end of the Year for Priests in 2010, Cardinal Meisner lamented the drop in the practice of the sacrament of reconciliation, saying it has hurt the church and priests. “Where a priest is no longer a confessor, he becomes a religious social worker. In fact, he is missing the experience of the greatest pastoral success, which is when he can collaborate to ensure that a sinner leaves the confessional as a sanctified person,” the cardinal said. His death leaves the College of Cardinals with 224 members, 121 of whom are younger than the age of 80 and therefore eligible to vote in a conclave to elect a new pope.